If you’re wondering what causes canker sores (aphthous stomatitis) you’re not alone. Canker sores are among the most common oral conditions affecting more than half of the American population. Also called aphthous ulcers, canker sores are small, shallow lesions that form on the soft tissues in your mouth or at the base of your gums. Canker sores are different from cold sores as they don’t appear on the surface of your lips. Canker sores are not a form of the herpes infection and they are not contagious. But these small, round, or oval yellowish sores that form in your mouth or on your tongue can be painful, and make it difficult to eat or talk. If you’ve ever had a canker sore in your mouth or on your tongue, they’re hard to forget. But if you’ve never had one, there are some basic symptoms you can look out for to determine whether or not you have a canker sore on your tongue or in your mouth. People first notice a canker sore on the softer parts of the mouth that move, that includes your tongue, soft palate, and inside of your cheek. Canker sores on your tongue or in your mouth are usually white or yellowish and surrounded by red, inflamed soft tissue. A canker sore can also be accompanied by a tingling sensation in your mouth. In some cases, swollen lymph nodes, fever, and not feeling well are also symptoms that can be present if you have a canker sore. While canker sores usually heal on their own in a week or two, they can reappear in the same spot. Or even pop up in a new spot. In some unfortunate cases, new ulcers can appear while old ones are in the process of healing. A canker sore can either be a simple canker or complex canker. A simple canker sore in your mouth or on your tongue reemerges three to four times every year. This is a common type of canker sore that affects those between the ages of 10 and 20. A complex canker sore in your mouth or on your tongue is not as common and develops in people who have had it before. Minor aphthous stomatitis: This type of canker sore is common and affects more than 80% of canker sore sufferers. These canker sores are usually small, less than one centimeter in diameter, and heal in about a week. These types of canker sores do not cause scarring. Major aphthous stomatitis: This type of canker sore is severe and affects roughly 15% of those with canker sores. These canker sores generally last for two weeks or more and are usually larger than one centimeter in diameter. Unlike minor aphthous stomatitis these can be extremely painful and often heal with scarring. Herpetiform aphthous stomatitis: This form of canker sore is uncommon and occurs in less than five percent of those who develop canker sores. They occur in clusters of very small ulcers, less than one millimeter in some cases, and they sometimes merge to form a much larger canker sore. Fortunately, they do not last long and usually heal in just over a week. What causes canker sores? That’s not easy to answer. Because the precise cause of canker sores is unknown. That said, researchers believe a combination of factors contribute to outbreaks. And in some cases, a canker sore can be a sign of another health concern affecting your body. What we do know though, is that anyone can get a canker sore. BUT they are more common in teens and young adults. Or there may be a family history of canker sores. Your risk for developing a canker sore increases if you are a woman. Vitamin deficiencies: According to dentists, many problems associated with the skin and inside the mouth are a result of vitamin deficiencies. Causes of canker sores associated with vitamin deficiency are highly correlated with vitamin B12. Children require more vitamins than adults because they are growing and their bodies need a steady supply of vitamins. And kids are not known for their love of fruits and vegetables; an excellent source of vitamin B12. Nutritional deficiencies: Nutritional deficiencies can also cause canker sores. According to several studies, canker sores can be triggered when there is a deficiency of folic acid, zinc, or iron. Calcium has also been cited as a cause of canker sores. But it now appears as though a calcium deficiency is more responsible for worsening the situation. Stress/injury: Stress on the tissues in the mouth or any kind of injury in the mouth can lead to canker sores. Canker sores, because they are tiny ulcers, can be caused by hard brushing; or eating something that can bruise or lead to the inflammation of tissue in the mouth. A lot of people with dental equipment, including braces and ill-fitting dentures, develop canker sores in their mouth or on their tongues. Using harsh mouthwashes can damage the outer layer of the mouth and cause canker sores. On top of that, not keeping your mouth clean can injure the tissue in your mouth and cause canker sores. Fruits and vegetables: This shouldn’t be seen as an excuse to not eat fruits and vegetables. However, some healthy fruits and vegetables are highly acidic and can cause or worsen canker sores. Acid fruits and vegetables like oranges, lemons, and pineapples do not technically cause canker sores, but they can put added stress on the tissue inside the mouth. Other fruits and vegetables that should be avoided if you have a canker sore include: strawberries, figs, tomatoes, and apples. Poor immune system: If you have a poor immune system your body is more prone to canker sores. While the medical community does not understand exactly why a poor immune system can trigger or cause canker sores, it is thought that having a weak immune system gets in the way of preventing or repairing canker sores. Other potential causes of canker sores include: viral infections, hormonal fluctuations, food allergies, menstrual cycles, smoking cessation, heredity causes, anti-inflammatory drugs (ibuprofen), and toothpaste containing sodium lauryl sulfate. Avoid hot and spicy foods, foods with hard edges, such as nacho chips and toast, and acidic foods or drinks. Aside from a proper diet, there are some things you can do to ease the pain of canker sores until they fade away. Over-the-counter (OTC) medications like “Tylenol” or “Advil” are good for general pain relief. So too are OTC topical anesthetics (patches and gels) to put over the canker sore. For an at-home remedy, put a damp tea bag on the canker sore for five minutes. Tea is alkaline and neutralizes acids. It also contains astringent compounds which can help relieve the pain. You can use an OTC antimicrobial mouth rise to help ease the pain caused by canker sores or get a prescription-strength antimicrobial mouth rinse from your dentist. Other things you can do to prevent canker sores or ease the pain include limiting your use of alcohol and tobacco. And if possible, controlling the stress in your life. Canker sores are a pain in the mouth. And it can feel like they last forever. But the better your understanding about what causes canker sores in your mouth or on your tongue, the better your chances for avoiding a canker sore or easing the pain of one. “Canker Sores,” The American Academy of Oral Medicine web site; http://www.aaom.com/index.php%3Foption%3Dcom_content%26view%3Darticle%26id%3D82:canker-sores%26catid%3D22:patient-condition-information%26Itemid%3D120, last accessed December 9, 2015. 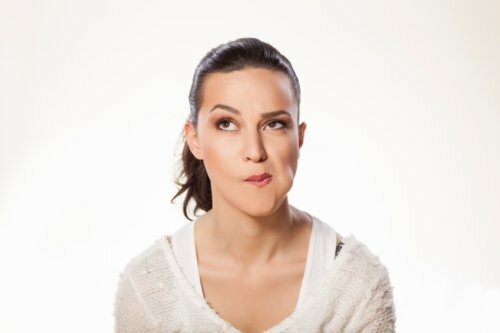 “Canker Sore Prevention,” Mayo Clinic web site; http://www.mayoclinic.org/diseases-conditions/canker-sore/basics/prevention/con-20021262, last accessed December 9, 2015.
last accessed December 9, 2015. “Canker sores, causes and treatment,” deltadentalins.com; https://www.deltadentalins.com/oral_health/canker-sores.html, last accessed December 9, 2015.
http://www.nhs.uk/conditions/mouth-ulcer/pages/introduction.aspx, last accessed December 9, 2015. “Canker Sores,” U.S. National Library of Medicine web site; https://www.nlm.nih.gov/medlineplus/cankersores.html, last accessed December 9, 2015.